Fibronectin is a protein that exists in vertebrates in two distinct forms: one present in the blood and the other in blood vessel walls. 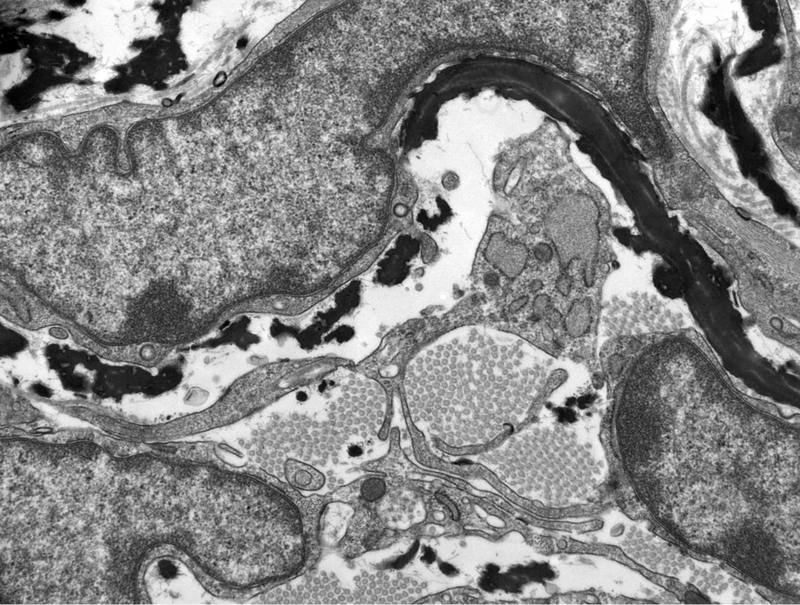 In mammals, fibronectin is important for the development of blood vessels before birth, but whether it is continuously required for blood vessel homeostasis from birth to adulthood is unknown. We present important results from three genetically modified mouse models, which show that at least one form of fibronectin is required for the proper function and integrity of blood vessels during this period. We show that fibronectin can be transferred from the blood into the vessel wall, where it can rescue the integrity of blood vessels in the absence of the vessel form. This represents an important biological mechanism to maintain the health of blood vessels. Our data also highlight the importance of both fibronectin forms in producing and organizing the microenvironment of cells, with a higher contribution from the fibronectin form residing in the blood vessel walls. Together, our findings show that fibronectin from the blood acts as a safeguard to maintain the health of blood vessels, and both fibronectin forms play crucial roles in development and support of the blood vessel microenvironment.